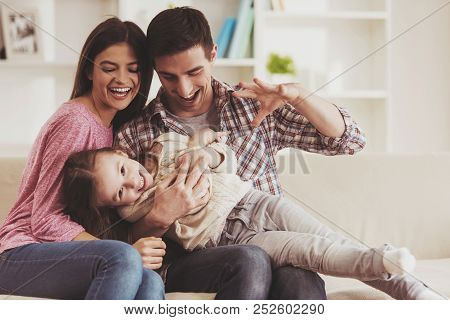 Young Family Having Fun. Together at Home. Happy Childhood. Attractive Young Couple. 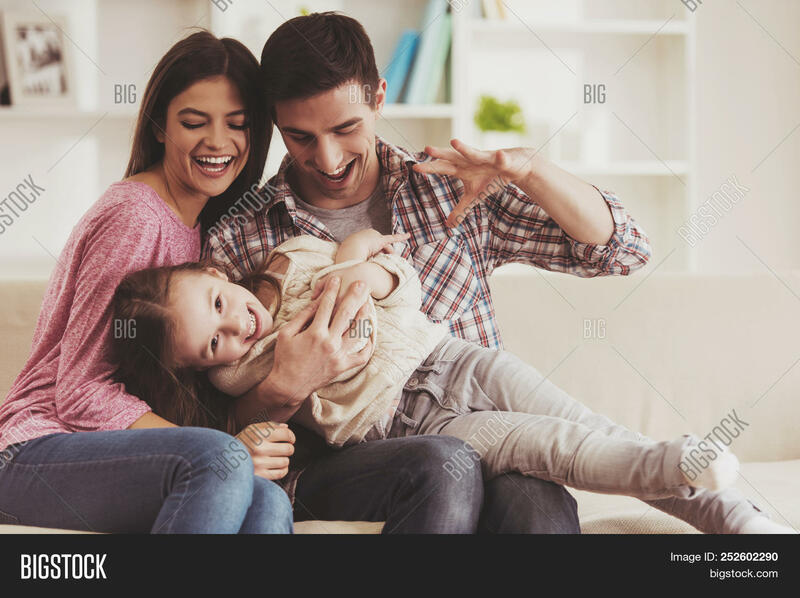 Parents and Kid Sitting on Sofa. Portrait at Home. Family Concept. Smiling Parents. Child at Home.